Australia’s self-inflicted renewable energy calamity has its Federal Coalition government in a state of perpetual panic. 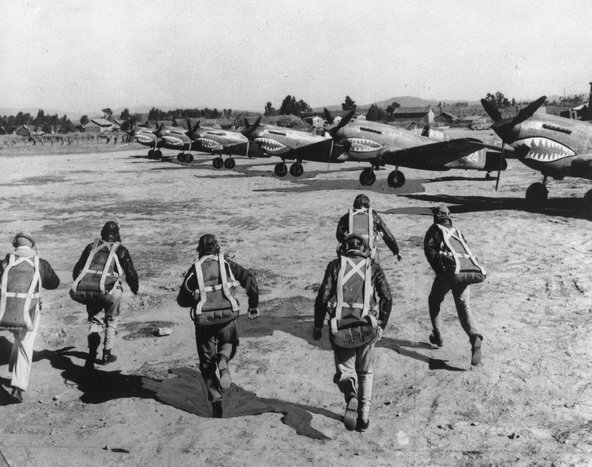 Sometimes panic is warranted, either by the gravity of the threat or the limited time within which to respond to the threat. In this case, time really is a factor. The AEMO has released a report that shows Australians will be scrambling to obtain reliable power supplies this coming summer. In Australia, things heat up from the end of November and, with an uptick in temperatures, comes an increase in the demand for power, used to cool homes, offices and businesses. By early December, it’s not unusual to have experienced a widespread heatwave across South Australia, Victoria and New South Wales with temperatures up in the 40°C range. With a serious shortfall in available baseload generation and increasing reliance on the weather for power, blackouts are guaranteed across the entire Eastern Grid. In politics, a week is said to be a very long time. However, for PM, Malcolm Turnbull and his hapless sidekick, Josh Frydenberg the next 90 days – between now and the first December hot spell – will pass like the time it takes to fall off a cliff. The trouble with acting in a panic is that the number of unforced errors generally increases. In the current climate, it’s apparent that those in on the greatest subsidy rort of all time will say and do anything to keep the game alive. Including, adding yet another band of rent-seeking boffins to Australia’s growing list of ‘regulators’. Here’s Judith Sloan on the front foot, yet again. It’s not clear whether the Australian Energy Market Operator is part of the problem or part of the solution. Its head — an import from the US whose affection for renewable energy is well-known — has made some very strange statements since arriving here. But let’s face it, AEMO is just part of the dazzling array of regulatory agencies interfering with the workings of the national electricity market and this includes a lot of state bodies. The best thing about AEMO is its emphasis on ensuring the reliability of the electricity system. It is less concerned about the rapidly declining affordability of the system, however. Indeed some of its recommendations will add to the costs borne by consumers, such as developing a strategic reserve to deal with the potential gap between supply and demand in South Australia and Victoria in the coming years. I’m not sure it really took a bunch of physicists and engineers in AEMO to point out what is absolutely apparent to everyone: that the subsidised penetration of intermittent, renewable energy has reduced the reliability of the system and increased the costs while undercutting the incentives for investment in dispatchable energy that can be delivered 24/7. For all the carry-on about behind the grid, demand management, (short-lived) batteries, storage and energy efficiency improvements — they add up to small beer, by the way — the simple fact is there will not be sufficient reliable electricity either in the near term (in South Australia and Victoria, at least) or, from 2022, in NSW as well. But trying to establish means of incentivising dispatchable energy to be available but keeping this separate from the market — a form of capacity payments — runs the risk of further distorting the market. In true bureaucratic fashion, one of AEMO’s responses is to create an expert panel (this could be the basis for an episode of Utopia) in which the usual suspects are assembled to push their own barrows. Most of those on this panel are just the chief rent-seekers within the system. Some have even been the source of extremely lousy advice to governments, such as keeping the Renewable Energy Target because wholesale prices would fall. Sure. But here’s the key: there is not one person representing the large energy users on this so-called expert panel. Recall that one half of all electricity generated goes to these large users — think smelters, fertiliser factories, steel mills — while a quarter goes to households and the rest to other businesses/organisations. But the head of AEMO didn’t think it worthwhile inviting any of the chief executives of these large users along. There was one welcome development this week — the recognition by the government, and maybe the opposition — that we need investment in reliable electricity generation. This can take the form of extending the life of existing plants as well as investing in new ones. (Move over AGL, you are not part of the solution.) But here’s a hint: it will not be achieved by instituting the daughter of the RET, the Clean Energy Target. All a CET will do is spur even more investment in unreliable renewable energy and we already have enough of that, arguably too much. 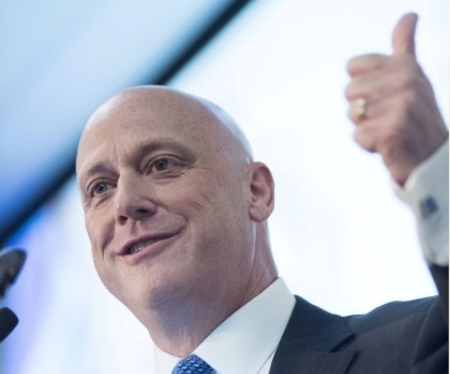 AGL’s Andrew Vesey gives thumbs up for much more of the same. Blame shifting and buck-passing are nothing new in politics. However, when the power goes out, those sitting freezing or boiling in the dark look to whoever is in charge to fix it. Blame and retribution come much later. When the lights come back on and the air-conditioners start to hum again, power consumers (read voters) will, no doubt, take their time to identify and suitably punish the culprits. In this case the culprits are both the Green infused Australian Labor Party and the Labor infused Liberal/National Coalition. History will not treat them well, voters will not treat them any better. Here’s the Editor of The Australian channelling the fury that is yet to be fully unleashed. The federal government’s renewable energy target is emerging as the nation’s largest ever public policy failure. The consequences of the RET are costly and damaging, undermining jobs, industries, the broader economy and our standard of living. Apart from adding an unnecessary $60 billion in costs by 2030 to be recouped in higher power prices, the policy has drastically undermined the security of supplies. In an energy-rich nation that is a major exporter of coal and gas, it takes a special incompetence to make our electricity expensive and unreliable. Yet both major parties have presided over this disaster; disturbingly, the RET has had bipartisan support. Labor and the Coalition own the policy and its consequences, which are detailed in the Australian Energy Market Operator report on dispatchable capability. AEMO describes an “increasing and unacceptable risk” the market will not deliver enough power to meet demand over the next two summers. But even if we muddle by on emergency measures the threat of unmet demand will persist for a decade in South Australia, Victoria and NSW. A recent survey found SA power prices were the highest in the world and consumers in Victoria, NSW and Queensland are also being hit by substantial price hikes. These costs hurt businesses and play a role in the destruction of manufacturing jobs. Australia has contrived to turn its cheap energy into a high-cost disadvantage that is coupled with unenviable doubts about energy security. AEMO outlines the cause in stark terms: “Declining demand from the grid due to growth in rooftop PV and energy efficiency improvements, coupled with the growth of more variable demand and low operating cost variable renewable resources, is eroding the business viability of traditional baseload generation and increasing the need for dispatchable resources that can operate more flexibly than traditional baseload supply.” So state and federal subsidies for rooftop solar panels have reduced demand and increased its variability at the same time subsidies for large-scale renewable generation have made supply less reliable. These factors have undermined the commercial viability of baseload generation still desperately needed when the wind doesn’t blow or the sun doesn’t shine. Subsidies have so distorted demand and supply behaviour in the grid that baseload investment is almost unthinkable, so we need gas generation that can respond quickly to peaking demand. But just when the nation requires more gas investment it has been hit by a cost and supply crisis caused primarily by state government-imposed restrictions on exploration and exploitation. The extent of policy self-harm in energy is staggering. Even in 2009 The Australian warned the RET would fail any cost-benefit test. “However much internal warmth the thought of more windmills and solar panels might generate, the cold hard truth is that renewable energy targets have serious economic implications that warrant close scrutiny.” We were also alarmed by the states turning their backs on our natural gas bounty. “Australia cannot afford to ‘lock the gate’ and pass up the economic benefits of maximising a lucrative resource industry that will supply affordable energy to this and other nations,” we said in 2012. Our politicians ploughed on; they thought they were on a popular, climate gesturing winner. They have delivered unacceptably expensive electricity and undermined our economic future with the absurd catch that when we flick on the switch the power might not even be there. AEMO now wants to plug into every bit of emergency generation from factories and offer incentives for big users to shut down when demand threatens to outstrip supply. The closure of more coal-fired power stations — after SA’s Northern and Victoria’s Hazelwood — threatens to exacerbate the crisis. AGL intends to close its Liddell plant in NSW’s Hunter Valley in 2022. The consequences could be dire. So pitiful is the outlook that the Coalition is considering funding or subsidising coal-fired generation to ensure there is “dispatchable” power available when renewable energy is not. The Australian loathes such subsidies, especially when they are introduced to remediate the consequences of other subsidies. But this is a mess and it is serious. The top government priority must be to supply power to keep the lights on at a price families can afford. 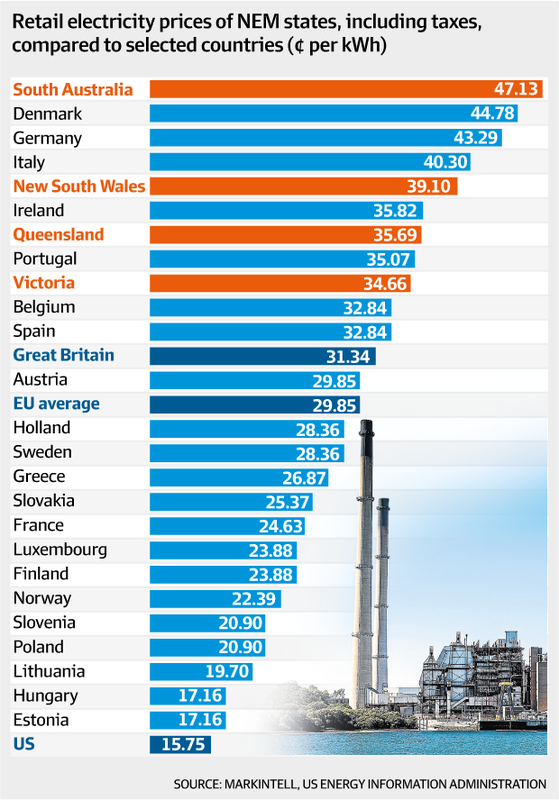 And Australian power consumers would angry because …. I’m hoping there won’t be any real hot spells this summer, partly because I’m ill and don’t handle the heat real well. If there’s a blackout in stinking hot weather, on a bad day I may find myself in trouble. Also we really need the climate to continue to cool. A Maunder type minimum to put a stop to the warmist rubbish and therefore the intermittent energy problem. And it is not just the ever increasing prices on our electricity. It is also the extra expenses that households are undertaking to try and reduce those ever increasing bills! Those that can ( or maybe can’t, and are borrowing), are putting on solar panels, or more solar panels and expensive battery back up! So the cost of trying to secure your own electricity, is being borne by the consumer! Or there are those that are now considering backup generators, to fall back on, when the inevitable does happen! Of course, the cost being borne by the hapless electricity ‘customer’! With cost increases far exceeding the CPI increases, it appears to be a battle that the Joe Average, will eventually lose. If you had a “Like” button I’d be clicking it multiple times. It’s good to see some in the media start seeking accountability. Can the various ABC studios be placed at the very top of the load shedding list? Some of the horseshit coming out of the mouths of AEMO is bewildering. In response to criticism to AEMO’s “Demand Response” proposal where households and businesses voluntarily cut power usage during times of peak demand, the lovely Audrey has come out and said the proposal hasn’t been properly conveyed. Somewhere on that flight between New York and Sydney the oxygen supply must have momentarily shut down. Does she actually think with the exorbitant cost of electricity, manufacturing shutting down, businesses going broke and the average household budget buckling, that we all actually negligently waste power? Does she think I turn down the air conditioner a couple of degrees just so I can freeze my nuts off in bed. Do I crank up my SONOS home theatre to maximum decibels as I’m sure the sheep 500m down the road enjoy grazing to Johnny Cougars R.O.C.K in the U.S.A.
Of course I must turn on every light in the house each night in the hope of being acknowledged by those on the international space station. Dear lovely Audrey next time you have a think tank meeting in your lovely Sydney office with the other members of the basket weavers guild increase the oxygen supply, I think there may be a shortfall.